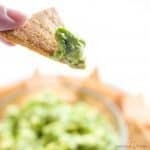 Wholesome Yum is a keto low carb blog. 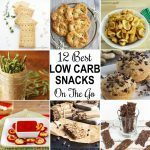 Here you will find natural, gluten-free, low carb recipes with 10 ingredients or less, plus lots of resources. 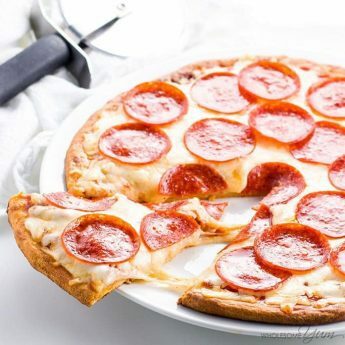 These easy keto recipes are sugar-free, LCHF, and often paleo. 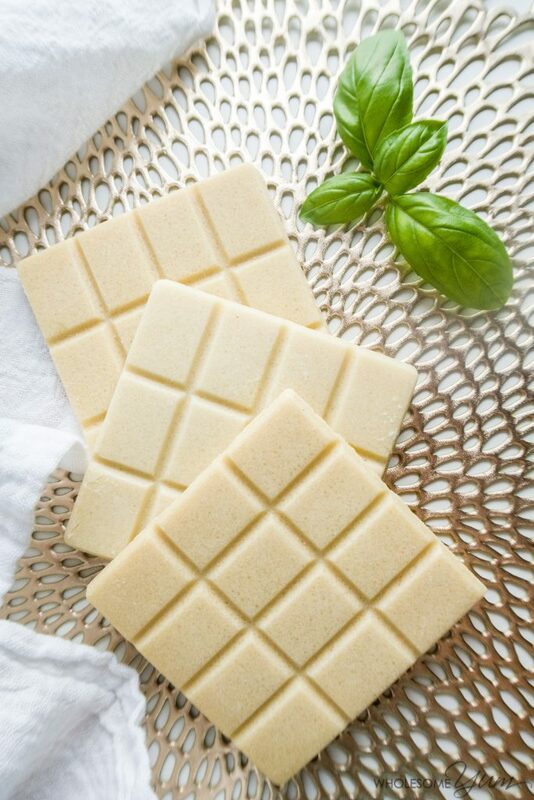 Learn how to make sugar-free white chocolate bars - homemade with just 4 easy steps! You'll love this UPDATED low carb keto white chocolate recipe. Before jumping to the recipe card, don't miss the HELPFUL RECIPE TIPS in the post! 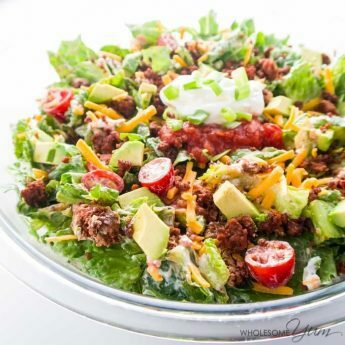 I hope you'll find them useful and will love this low carb recipe! Check your email for a confirmation link. Add [email protected] to your email contacts so that you don't miss it. After you confirm, you'll receive a link to the Members Area where you can download the book! If you use gmail, drag the welcome email to your Priority Inbox so you won't miss future freebies. Join 100,000+ newsletter subscribers for free access + new recipes 3x/week! Yes, subscribe to the newsletter & send my freebie via email! I’ve always had a weak spot for white chocolate. I even have fond childhood memories of picking through the (wrapped) candy bowl in search of the white Lindor truffles that may be buried in there. I’m not a white chocolate snob though – I’ll totally eat a plain white chocolate bar just as happily. And now, thanks to my new recipe, that can be low carb sugar-free white chocolate. Purists might complain that white chocolate is not “real” chocolate since it doesn’t include cocoa powder, but I’d have to respectfully disagree. It’s still made with cocoa butter, so I say that totally counts. Unfortunately, I have yet to find a good sugar-free white chocolate bar on the market. I wish I could buy them ready-to-eat, the way I do my beloved milk chocolate bars at Trader Joe’s, but they don’t make a white chocolate version. That could only mean one thing – it was time to make my own! When I first set out to make my own sugar-free white chocolate, I pored through ingredient lists for white chocolate bars I liked to find the common ground. I figured that would point me in the right direction of how to make my sugar-free white chocolate. Of course, they were all made with sugar, cocoa butter, milk, vanilla (or unfortunately synthetic vanilla flavor called vanillin), and often lecithin as a stabilizer. This list was far from ideal, but I had to start somewhere. It was time to make some ingredient replacements. I’d previously heard somewhere (wish I remembered where!) that the milk listed on chocolate bars was actually milk powder to avoid introducing excess liquid, so I knew that was what I had to use. Originally I made this sugar-free white chocolate recipe with whole milk powder. After a reader suggested heavy cream powder, I changed it to that instead to lower carbs more. And, it tastes better. Otherwise, I made the natural swaps of erythritol for sugar and real vanilla extract for vanillin. Make sure to use powdered erythritol, so that your sugar-free white chocolate is not grainy. I skipped the stabilizer in my original recipe. Unfortunately, that turned out to be a mistake. The low carb white chocolate recipe ended up causing problems for people. Sure enough, when I tried to make it again, the chocolate didn’t emulsify properly. As a result, I modified the steps to include sunflower lecithin. I figured that would help since most commercial chocolate bars contain soy lecithin. I opted for the sunflower kind to avoid soy. Just a teeny-tiny bit worked wonders! I threw in a pinch of sea salt for depth, but you can skip it if you’d like. 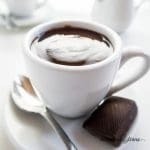 Once I had the ingredient list figured out, it was simply a matter of testing out different ingredient ratios, primarily the relationship between cocoa butter and heavy cream powder. Both contribute to the unique flavor we know and love in white chocolate. I settled at a ratio of one tablespoon of powder per ounce of cocoa butter – a wonderful combination of smoothness and white-chocolatiness. In addition, my revised sugar-free white chocolate recipe includes a tablespoon of coconut oil. I found that this helped to make it creamier. 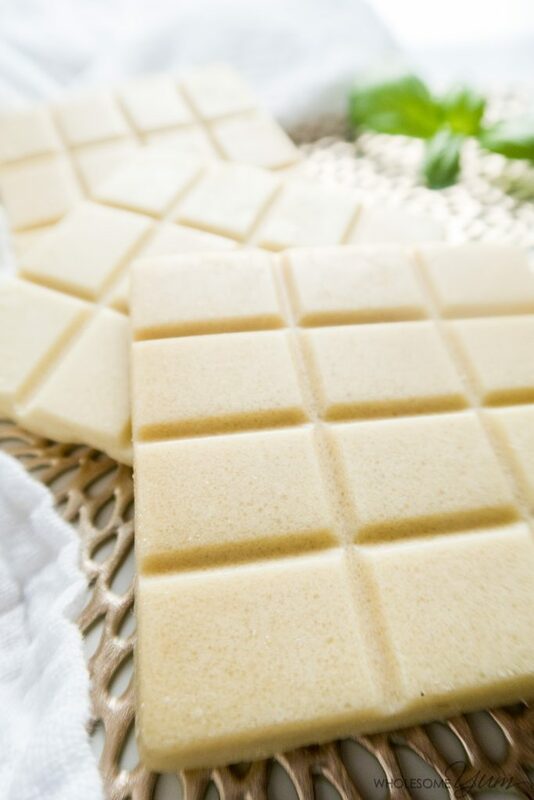 So, are you ready to make your own sugar-free white chocolate bars? With the holidays coming up, having a sugar-free, healthier option for white chocolate is much-needed. I’ll bet these keto white chocolates and keto chocolate bars would be so cute wrapped up as little gifts, too. Click the links below to see the items used to make this recipe. Double boiler – For melting the cocoa butter and coconut oil. Highly, highly recommend this, otherwise there’s a good chance the chocolate will burn or separate. Chocolate bar molds – I like this pack because it’s 4 for one low price. And, the chocolates pop out effortless because they are food-grade silicone. Chocolate chip molds – If you want white chocolate chips, this mold makes the same shape as real store-bought ones! Sunflower lecithin – Many people aren’t sure where to get this, so I wanted to point it out here. This is the one I use. It’s a must to stabilize the sugar-free white chocolate and help keep it smooth. Heavy cream powder – This is harder to find in stores. 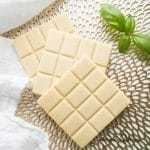 I buy it here online for making low carb white chocolate. Plus, you can reconstitute it with water to use as actual heavy cream in recipes. Click on the underlined text below to buy ingredients! Please ensure Safari reader mode is OFF to view ingredients. Try Low Carb & Keto Meal Plans Free! More TIPS about this recipe in the post above! VIDEO + NUTRITION INFO + RECIPE NOTES below! Cut the cocoa butter into small pieces, no larger than 1/2 in (1.3 cm) in any direction. This important to prevent overheating the outside when melting. Place the cocoa butter, coconut oil, and sunflower lecithin into a small saucepan. Melt on the stove over VERY low heat. Do not allow it to simmer or boil. (Even better, use a double boiler if you can.) Remove from heat once melted. Stir in the sweetener, until dissolved. Stir in the cream powder, vanilla extract, and sea salt, until smooth. Pour into chocolate molds (or onto a small parchment lined pan). Refrigerate until hardened. Keep refrigerated for best results. Makes 2 chocolate bars of typical size. A serving is 1/4 of a bar. Any powdered sweetener will work. Powdered sugar makes a regular white chocolate version, but I prefer powdered erythritol for low carb and sugar-free white chocolate bars. The ratios in this recipe were updated in January 2018, and again in September 2018, for better results. Click or tap on the image below to play the video. It's the easiest way to learn how to make Sugar-Free White Chocolate! Amount per serving. Serving size in recipe notes above. Where does nutrition info come from? Nutrition facts are provided as a courtesy, sourced from the USDA Food Database. 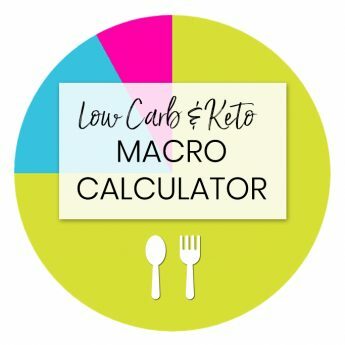 You can find individual ingredient carb counts we use in the Low Carb & Keto Food List. Carb count excludes sugar alcohols. Net carb count excludes both fiber and sugar alcohols, because these do not affect blood sugar in most people. We try to be accurate, but feel free to make your own calculations. 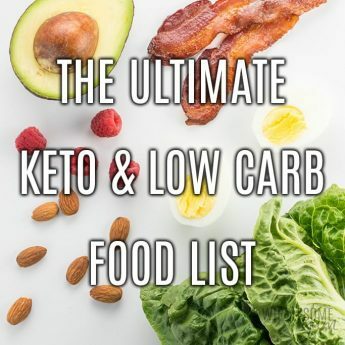 More Low Carb & Keto Support! © Copyright Maya Krampf for Wholesome Yum. We'd LOVE for you to share a link to this recipe, but please DO NOT COPY/PASTE the recipe instructions to social media or websites. You may share a photo with a link back instead. Then, share a pic on Instagram. Tag @wholesomeyumblog or #wholesomeyum! Use the buttons below to buy low carb basics! Or, click here to shop all my pantry favorites! Type your question or comment below, and click "Post Comment". You'll see it on this page after we review it. If you had any issues, I'd appreciate the chance to help you troubleshoot before you leave a rating. Do you want to be notified when there is a reply? You can choose to be notified for all comments, only replies to your comment, or not notified. Select your choice below. Would powdered sunflower lecithin work ? Hi Lea, I haven’t tried it. It might work. Let me know how it goes if you try it. Would this recipe be good for using with chocolate molds? & would food coloring change anything? I like using chocolate decor on my cakes & cupcakes. Thanks for this! Hi Cindy, Yes, it’s great for molds. I haven’t tried adding food coloring so am not sure about that one. Is there a reason why the recipe calls for heavy cream powder instead of regular heavy cream? I’ve tried a similar recipe to this (the one I used didn’t include sunflower lecithin or coconut oil) and the texture was too grainy for me. I was hoping for a creamy smooth texture but it turned out not so. Hi Sarah, Yes, you need heavy cream powder. Regular heavy cream will just make a liquid instead of a solid chocolate bar. Hi Chris, I haven’t tried it, but yes, I think you’d end up with a white chocolate sauce if you use liquid heavy cream instead of the powder. That sounds delicious over coffee! I made this recipe without the lecithin, and I also used coconut milk powder instead of heavy cream powder. (I found that easily in stores, Grace brand). I microwaved my cocoa butter and coconut oil instead of stove top, 1 min, stir, then 30 seconds at a time, stir, until completely melted. I melted my coconut oil first actually, in order to measure better. The end result separated slightly with the coconut oil on top and the cocoa butter on the bottom, but once it set it wasn’t very noticable at all. Mine were very very sweet, but I believe now it’s because I used Swerve powdered, which is 100% as sweet as sugar vs powdered erythritol which is 70% as sweet. I do think that the other commenters saying something similar about sweetness made the same mistake. Perhaps you could make a note on the recipe? Despite using coconut milk powder and coconut oil (the kind that actually tastes like coconut) I don’t find the results are too coconuty, although maybe a little. Not unpleasantly so. They aren’t too hard to bite into either. Even when coming out of the fridge, they have a light consistency, like soft milk chocolate. Overall I’m very pleased, next time I’ll cut on the Swerve though. If you used 1/4 cup of powdered erythritol for the original recipe, I would guess I should use about 3tbsp Swerve or 3/4 as much. (60ml at 70% sweetness would be 42ml at 100% sweetness). Despite all those changes, I’ll give the recipe 5*, lol even though I hate it when people do that on other recipes. These came out perfect. Followed your recipe exact until I poured it. I put it in little molds to make fat bombs. I added cacao nibs to some, macadamia nuts to others and left some plain. I am so excited they turned out so good. Thank you so much! Love that they have coconut oil. The flavor isn’t pronounced and it’s added benefits are wonderful. Yum, that sounds delicious, Rita! Thanks for sharing! I would like to up the flavor on this recipe but have no idea how. I do plan on reducing the sweetness a bit. However, the white chocolate taste just wasn’t as flavorful as I’d like. Please help!!! It’s definitely a very well thought out recipe! Hi Pat, You could replace some of the coconut oil with more cocoa butter for a stronger flavor. Many thanks for sharing this great recipe. However, I cannot yet put it into practice since I didn’t find heavy powder cream in France. And I don’t want to use milk powder since I’m really strict regarding carbs counting. Is this really necessary? Would coconut hardened butter or coconut cream make it instead? Hi Diego, Sorry, you need either heavy cream powder, milk powder, or coconut cream powder. I have a link to the one I use on the recipe card above, in case you might want to have it shipped. Whole milk powder would be some carbs but less than skim or 2%. Coconut cream would not set unfortunately. I haven’t tried with coconut butter, so you could try that but not sure if it would set and have the right flavor. Thank you for the feedback, Liz! Sweetness is definitely a bit subjective so feel free to add more if you like more. Sometimes the sweetener doesn’t dissolve enough and that can cause uneven sweetness also. Made this last night with Xanthan gum in place of the lecithin (I’m on Plant Paradox so soy and sunflowers are both out) and it turned out fine. I made one batch with only that one substitution and the flavor was just okay but perfect for baking which is what I made it for. I made another batch and replaced the vanilla extract with peppermint extract to try for a more peppermint bark taste and WOW! So happy I found this recipe because I’ve been missing having peppermint bark this year and now I don’t have to miss it as much! Thank you! Hi, is it at all possible to use psyllium husk, xanthan gum, or some other thing for this recipe? Also do you have any other things I could use with the sunflower lecithin? because if I buy it then I’ll have a huge thing of it and obviously I can’t just make a ton of chocolate. Hi sorry for not getting back to you I for some reason didn’t get an email that you wrote back just when other people wrote comments but anyway yeah I was hoping to use 1 of those things INSTEAD of the sunflower lecithin since I’ve heard that they’re thickeners but since you said that it’s a stabilizer (not a thickener) I’m not sure if any of those would work but please let me know if you think they would. Hi there. I found this recipe while looking for sugar free white chocolate to use as a coating for low-carb pumpkin truffles. This looks promising. Do you think this chocolate will adhere to the truffles and harden? I’d keep the truffles in the fridge before serving, but am concerned that as chocolate coating reaches room temperature it may begin to soften and separate from the truffles. 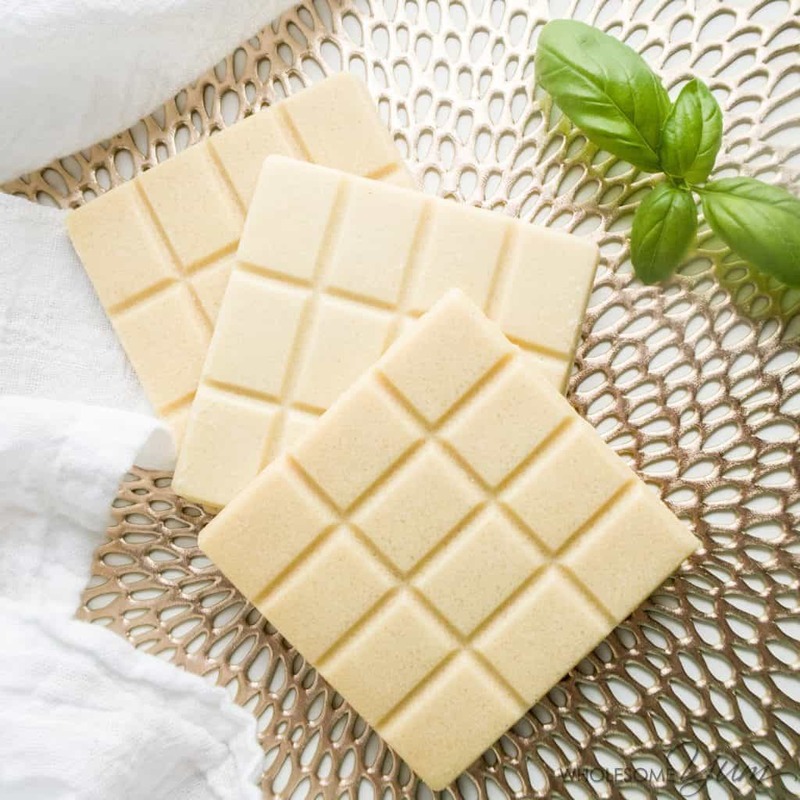 Do you have any experience using the white chocolate as a coating? Thanks so much. Looking forward to trying your recipe. Hi Cecilia, I haven’t tried that, but think it would work. Please let me know how it goes if you try it! Thank you for your diligent work! I want to make a white chocolate ganache, to frost a cake. Will your white chocolate work the same? (Typically, I chop dark chocolate and add to boiling cream to make a ganache). I’d love your advice on this! Being a keto girl, I really miss white chocolate, too! Hi Mary, I haven’t tried that, but would think it should work. Let me know if it does! Can you use food coloring and pipe it into shapes. Would it stay together, like a pumpkin? Hi Meg, It’s too liquid to pipe into shapes, but you could do shapes if you have silicone molds. Did you use powder or liquid lecithin? Hi Dawna, I used this lecithin. Hi! 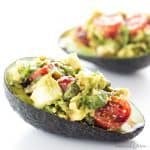 I have a dairy allergy so I’ve been looking at all your dairy free recipes & came across this one! I’ve never had white chocolate before, so I was excited to try this one. Unfortunately I got my hopes up. You have “heavy cream powder” in the ingredients & im not sure if you know or not, but that contains dairy. I just thought I’d let you know in case any other people with allergies came across this post & didn’t know thank you so much for creating this blog! I have so much food I can try now! So sorry about that, Amber! This one wasn’t tagged correctly (I know heavy cream powder is dairy) – I fixed it now. You might be able to try this with coconut cream powder instead, but haven’t tried to confirm it. I’ve been diabetic 45 years and have never had sugar free white chocolate. I’m not a big fan of much sugar free candy, but interested in trying a homemade white chocolate. Not only for myself, but for my son, mom, and my fiance…all of whom are also diabetic. THANK YOU! I am so happy you liked it, Linda! Thanks for stopping by! Too many people in my family complained about the coconut oil taste so I tried a batch without it. The white chocolate came out very creamy and no need for refrigeration. However, I used Splenda. Yes I know…shame on me. My family and I like Splenda. I am looking forward to trying this recipe. I, too, love white chocolate. When I started this lifestyle, I found Ross Chocolates. Their chocolate, including white chocolate, tasted just a great as the full sugar chocolates you buy in the store. But, they seem to have discontinued the white chocolate. 🙁 Now it’s time to make my own. I hope you like them, Sue! Thanks for stopping by! No they still sell them 🙂 but I hope you enjoyed these chocolate bars too. I’m going to try them out myself as soon as I can get the stuff from Amazon. I’m terrible at cooking stuff. You should sell them! I’m dying to make this! Thank you so much for your recipe!!! One problem though. Here in South Africa, I can’t get double cream powder… would whey powder be the same? Hi Rita, Sorry to hear that! I haven’t tried it with whey protein powder so am not sure if it would work, but they are pretty different (one is mainly fat and the other is protein), so I have doubts that it would work out. If you can find whole milk powder, I’d probably go with that. Hey, I just made this recipe with a few changes: I didn’t have lecithin, so I used peanut butter powder (the low sugar kind), MCT oil instead of coconut oil, 1tbsp of agave (I can’t have the typical artificial sweeteners), a little more heavy cream powder and a pat of butter. I tested it before I put it in my mini cupcakes pan, and it was pretty good! I’ll update later if it separates, but it’s looking good so far. The peanut butter looks like it’s doing its job! Thanks for sharing your substitutions, Ali! Thanks for stopping by! I cut the erythritol in half and for me it was still too sweet. I used butter instead of coconut oil and I think that next time I’ll use coconut oil as it will yield more snap (I keep them in the freezer). Liquid typically seizes regular chocolate but the vanilla extract mixed in fine. The flavor of these improved with time, perhaps because any erythritol crystals dissolved. This recipe is a keeper! I am so happy you liked it, Jan! Thanks for stopping by! Maya! Mine came out so grainy! I’m sure it’s something I’m doing wrong. I ground my erythritol powder fine and did the same to my powdered milk. The mixture was creamy till I added the powdered milk. I need your expertise. Hi Sarah, Sorry that happened! It was likely too hot, which can shock the mixture and cause it to split. Try with lower heat next time, preferably in a double boiler, and you can add a tiny bit more sunflower lecithin to be safe if you want to. This helps to stabilize it. So THIS is what real white chocolate should taste like!! I’ve honestly never had such “chocolately” white chocolate before and I feel like I’ve been cheated my entire pre-keto life. Yum! This is so delicious and a treat for the senses. Thank you for a fantastic, tasty and easy-to-follow recipe. I am so happy you enjoyed this, Leslie! Can I make a ganache with this recipe? Hi Alyssa, I haven’t tried that yet! Let me know how it goes if you do. any updates with the ganache?? Would these bars work to make white chocolate coffee drinks? I’m trying to replicate Starbucks white chocolate mocha. Hi Cheryl, I haven’t tried that yet! Such a great idea. I love white chocolate mochas. If you were to do this, it might work but I recommend blending it to avoid an “oily” drink. If you blend it, it should froth up similar to bulletproof coffee. Let me know how it goes! Have you ever used Clarified Butter instead of Coconut Oil? I would assume it would be the same amount . . . or, 100% Butter Powder (dehydrated)? I’ve been trying to figure out the ratio for the different ingredient and EVERY recipe has different ratios and/or ingredients . . .
Hi Kristin! You can use the same amount of clarified butter to substitute for coconut oil. I hope you like it! Would substituting the sunflower lecithin with xanthan gum work? Hi Garrett, I tried it a few times. Sometimes it works fine and sometimes the white chocolate still splits. Sunflower lecithin is best, but xanthan gum is better than nothing if you don’t have lecithin. The splitting was even more common when using neither. Hope you’ll try the chocolate and let me know what you think! Hi Laura, No, you can’t taste it at all. It’s just there for texture. Not sure if butter would work but let me know how it goes if you try. My son (who is gluten, dairy and soy free) is desperate for white chocolate, so really looking forward to making this for him. Can you use sunflower lecithin powder or does it need to be a liquid? Hi Allison, I haven’t tried it with powder, but think it might work. Let me know how it goes if you try! I hope your son will love it. Your recipe sounds wonderful! I was looking for a sugar free white chocolate to decorate sugar free dark chocolate (Lily’s) dipped strawberries and this looks like the solution to my problem. I have one note on the recipe – the link to Amazon for the “Heavy Cream Powder” comes up as “Sour cream Powder” if you click on the link in the context where you talk about the recipe. If you click on the link in the recipe itself if comes up with the correct product used in the recipe. Also, I have a question regarding one of the ingredients in the Heavy Cream Powder – sodium caseinate an anti caking agent. I know the cheese industry uses an anti caking agent in pre-shredded cheeses which can cause problems for some people who are gluten free and I was wondering if the caking agent used in this product might cause a similar problem for those that are gluten free. Hi Paula, I love the idea of using this for chocolate covered strawberries! Also, thank you for pointing out the link error – I fixed it. I’m not aware of any gluten in the ingredients for the heavy cream powder, but while I am somewhat sensitive, I do not have celiac’s disease. If it’s a risk I’d recommend asking the manufacturer directly. I hope you can still make the white chocolate and please let me know how you like it! What about THM protein powder for the smooth milky taste? Hi Melissa, I haven’t tried that, but let us know how it goes if you do. Hi, where I live, I find it hard to find sunflower lecithin, is there a product that can replace it? Thanks in advance. Hi Antonio, The lecithin acts as a stabilizer. I’ve tried making this recipe without lecithin, and it’s hit or miss. Sometimes it works, and sometimes the mixture splits and doesn’t come out smooth. You can try it and see if it works for you. Otherwise, I can’t find it in stores here either but order it online here. Thanks for the shopping suggestions! The heavy cream link went to sour cream powder instead. I found heavy cream powder but it’s very expensive for 2 pounds. Can you suggest a cheaper alternative? Would butter powder work? Could I omit the powder completely? Hi Colbe, Sorry about that – I fixed the link! Unfortunately the heavy cream powder is expensive but it’s A LOT so will last a long time. It’s shelf stable. 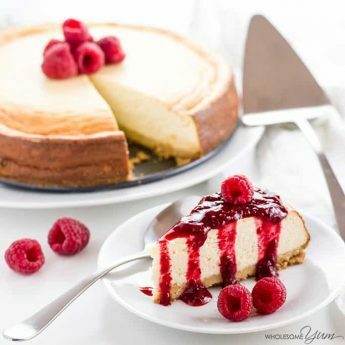 I don’t think butter powder or omitting will work very well, since milk provides part of the flavor for white chocolate, or in the case of a low carb version, the heavy cream powder does. It’s just one of the main ingredients. Powdered milk will probably work but will have a higher carb count. Do you use powdered sunflower lecithin or liquid? Do you recommend heating with double boiler to prevent overheating? Hi Jeff, I used liquid sunflower lecithin – the link is on the recipe card. Powdered might also work but I haven’t tried it to know for sure. I was able to make the chocolate without a double boiler, but it’s probably a good idea to use one. It would make it easier to avoid overheating. Wow! Thank you for all your experimentation. I too was a big fan of white chocolate alas being keto killed that. I’m looking fwd to trying this especially with Easter coming up. Thought I may have to just watch others enjoying their chocolate treats but now I can join the party! Thank you, Rhonda! Let me know how you like it once you try! Can’t wait to make this! Unfortunately, the link I clicked on took me to sour cream powder on Amazon, not powdered heavy cream. Did you use a different kind? Hi Jillian, Odd, I checked the link and it takes me to heavy cream powder on Amazon.com (US). Are you in a different country? For Amazon US, you could try this link also. Not sure if other countries carry it. Any kind of milk powder should also work, but milk powder is higher in carbs. I’m in the UK, does anyone know what I can use in place of the heavy cream powder, or what it might be called please? I can’t seem to find it! Hi Fiona, I’m in the U.S. but we unfortunately don’t have heavy cream powder in stores either. I get it on Amazon. I searched Amazon U.K. but did not find it there, however I did find whole milk powder which will also work. You can get whole milk powder on Amazon U.K. here. Hope this helps! Hi Maya, I am fairly new to the ketogenic way of life and I’m no pro baker/chef. I was wondering if this recipe could be used as chips to make white chocolate macadamia nut cookies? Would it melt too much once mix into the cookie batter and baked or would it be fine? Wanted to get your input before trying so I might avoid wasting time and money if you know it wouldn’t work. Hi Mandy, I still haven’t gotten around to trying this chocolate in baking, but I know that if you use it from room temperature or from the fridge, it will just melt into your cookie batter when heated. What I would recommend is freezing the pieces of chocolate, and use the frozen pieces in the cookie dough. That way it might stand a chance. 🙂 Let me know how it goes for you! Can you list the per serving by grams, please? Hi Nancy, sorry I don’t have that information available right now. If you make it, weigh the whole thing and divide that number by eight you’ll have the amount per serving in grams. I am trying to add this recipe to my lose it app recipe box thing, but I wasn’t sure how many calories from cocoa butter I used. I weighed it to 4 oz. or whatever the amount was. The package on the butter is Tbsp but they come in chips. How do I know how many chips equals a tbsp? Hi Emily, That would depend on the size of the chips so the only way to know for sure is to place chips into a tablespoon measuring spoon and then count them. You could also go by weight if you have a kitchen scale, since nutrition labels also list weight in grams for a serving. I know this was awhile ago, but I weighed it using a kitchen scale. The whole bag was 8 oz and 4 oz in the recipe so I just calculated the nutrition for the whole bag using servings per container and divided it in half. I can’t find whole dry milk anywhere. I have checked every whole foods type market and regular supermarket around me and all they have is nonfat. Will that work? I need to make it tonight so I can’t ship from anywhere. Help! Hi Tiffany, It might work but I haven’t tried it. Sorry I missed your comment earlier, but I hope it worked out for you. I did just update the recipe so you might want to try it again the new way, too. I found goat milk powder at Wegmans. If not, Amazon. Has anyone actually tried to make this? I just did and EPIC FAIL. The sweetener did not dissolve even when I put the mixture in a bullet to blend. Terribly grained and tasted like suntan lotion. I doubled the batch and wasted a ton of ingredients so very disappointed. How do you get get your sweetener not to crystalize and separate from the cocoa butter. I used pyure which is a stevia erythritol blend. I’m telling you it was horrible. Hi Caryn, I’m sorry this happened, it definitely shouldn’t be grainy or taste like suntan lotion. Did you use the granular or powdered Pyure sweetener? I used granulated but buzzed it in a nutribullet first. As soon as it hit the cocoa butter it totally crystallized. I so want white chocolate. Help. Hi Caryn, Sorry you had issues with it. I actually updated the recipe today to be more consistently reproducible. I hope you will give it a try – it will work much better than the old version. I made this the other day. I used stevia the cocoa butter she linked and the lecithin she linked. I couldn’t find the milk powder but I did find goat milk powder and used that. It looked gross when I mixed and poured but after refrigerating it was delicious. I am going to make her white chocolate chip macadamia cookies using this. I felt the mixture separated so I used the handheld blender in the pot to mix it. It got thick and toffee like. Any suggestions? Hi Lisa, Sorry you had issues with it. If it turned to caramel and then separated, the heat was definitely too high. Both of these issues are caused by overheating. How much Stevia did you use ? This sounds amazing! Do you know or has anyone tried with THM collagen instead of the milk powder? Thank you, Kelly! That’s a great idea. I haven’t tried it yet. I’m not sure if it would affect the flavor, since milk powder contributes to the taste of white chocolate. I love THM collagen though, so let me know how it goes if you try it! Thank you for this! Do you have to use the milk powder? I want to make it vegan. Hi Krysten, Yes, the milk powder is a main component in any white chocolate. You may be able to use powdered coconut cream powder instead, but haven’t tried that. Let me know how it goes if you do. Mine came out with a really weird flavor and gritty texture, and I can’t figure out why. I used Swerve Confectioner’s, that would be the right sweetener, right? Hi Sakura, I’ve never experienced that, but it’s hard to say what happened without being in the kitchen with you. Swerve Confectioner’s is the correct sweetener. It could be that the milk powder and sweetener didn’t dissolve well enough into the melted cocoa butter? You could try heating a little longer and/or using a blender to make sure everything mixes well. The whole milk powder is so expensive for just one recipe! Could regular lowfat powdered milk work? It’s much more accessible and cheaper to buy. Hi Marijane, I haven’t tried that since it’s higher in carbs, but in theory it should work. Let me know how it goes if you give it a try! Would liquid heavy cream work? I don’t have powdered and really want to make this! Hi April, Unfortunately, no. The chocolate wouldn’t set with liquid cream (it would be too liquid). Either whole milk powder or heavy cream powder would be needed. I suppose you could try a thickener, but haven’t tried that so couldn’t vouch for the results. Extremely sweet. Maybe add a little sweeter at a time. Thank you for the feedback, Ray! Everyone’s taste buds are different so you can definitely adjust the sweetness to taste. 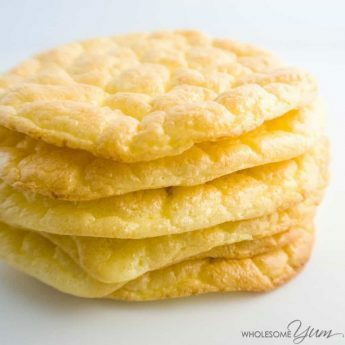 I just made these with heavy cream powder, and they came out great…along with drastically reducing the carb count. I got 2 large bars and 7 candy molds. That’s a great idea! I’ll try making them with heavy cream powder next time, too. Thank you so much for this info!! Can you use goat whole milk powder? I haven’t tried it but don’t see why not! Let me know how it goes if you try it. I was excited to see cacao powder at Walmart today, opened it, and it’s chocolate, not white chocolate. How would I know the difference? I know I can use this, but I already have unsweetened chocolate. Hi Karen, Cacao powder is always dark chocolate, not white chocolate. For this recipe you need cacao butter, not powder. Cacao butter is always white. I’ve never seen it at Walmart, but not sure if that varies around the country. I buy it online here. Avoid the milk powder carbs entirely. You can buy heavy cream in powdered form! I’ve found it on amazon in the past. That’s a great idea! Yes, this recipe should work the same way with heavy cream powder. Could butterscotch flavoring be added to this? I’m looking for a way to make low-carb butterscotch chips. I clicked on your link for the powdered milk. It took me to Amazon. The product there says for 2 tbsp there’s 12g carbs with no fiber. How did you figure out the carb count for your white chocolate bar? You’re right, Sarah! You and another person brought this up. I apologize for the mix-up. The nutrition info has been updated. The whole powdered milk that is linked is 12 grams of carbs per 2 dry Tbl. There is a 1/4th cup in the recipe. This means there are 24 carbs from the milk in 8 servings which equals 3 carbs per 1/4th of a bar. Did you use a different brand of dry whole milk? Thank you for bringing this up, Laura! You are correct. It looks like the nutrition calculator had a hiccup with the dry milk powder. I updated it and it should be correct now. Thanks! I vote for this too!! That sugar free/stevia sweetened chocolate is pretty expensive. I just got some coconut milk powder. Do you think that would work instead of the milk powder? I like white chocolate and the only sugar free one I’ve seen had a lot of sugar alcohol and carbs. I haven’t tried it with coconut milk powder, but it sounds like a great idea and I do think it would work. Let me know what you think if you try it. This is amazing! If you created a recipe for low carb milk chocolate bars I would be forever grateful! Thank you, Kate! I’ll add that to my list. If you’ve created a low carb milk chocolate bar…. please add the link !!! Thanks for the recipes, and all your hard work and creativity !! Thank you, Kelly! I haven’t done that yet but it’s on my list. I’m not really a fan of commercial white chocolate – even if it wasn’t carb-laden. But this recipe looks great! I keep meaning to use the large amount of cocoa butter in my cabinet. I haven’t used it in over a year. This looks like just the recipe. Thank you. I can’t wait to try this! My “signature” Christmas candy has been homemade peanut clusters made with white chocolate/almond bark, semi-sweet chocolate chips and dry roasted nuts – but they are most definitely not low carb, but people love them. Making the white chocolate this way would take a bunch of the carbs out and I could even try Lilly’s low carb chocolate chips to reduce them even further. That sounds like a delicious way to use white chocolate! I love Lilly’s low carb chocolate chips, too. I live in Australia. Do you mean cacao butter? Yes, cocoa butter and cacao butter are the same. I am having a terrible time. I made the recipe exactly and it turned out like oatmeal. What did I do wrong? I made it over twice and both times it turned out the same. Thanks, Gloria. Hi Gloria, I’ve never experienced that, but it’s hard to say what happened without being in the kitchen with you. It could be that the milk powder and sweetener didn’t dissolve well enough into the melted cocoa butter? You could try heating a little longer and/or using a blender to make sure everything mixes well. Hope this helps! Copyright © 2015-2019 Wholesome Yum®. Registered trademark. Design by Pixel Me Designs.